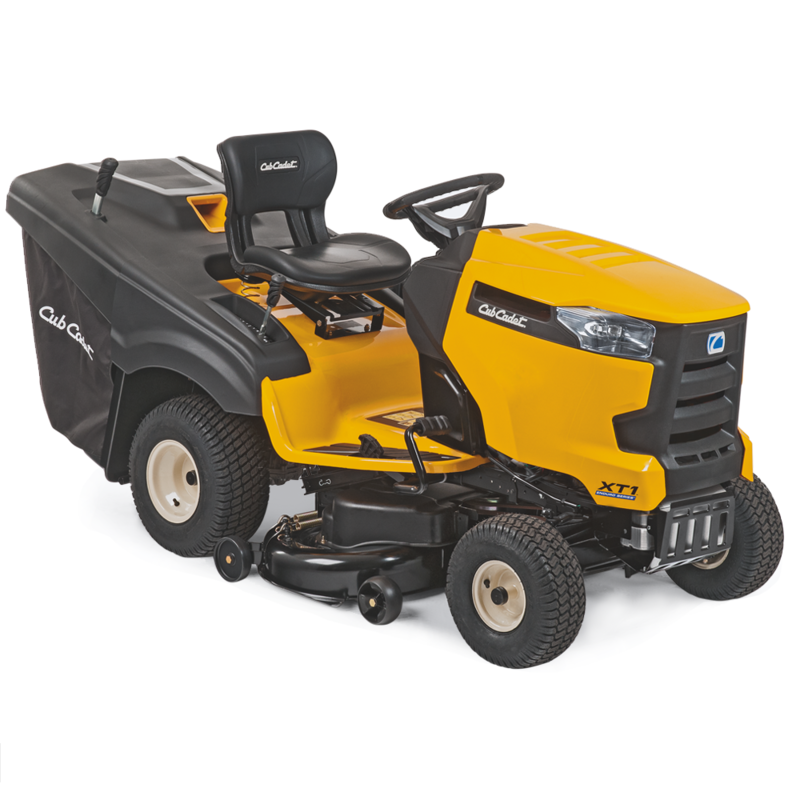 The Cub Cadet XT ENDURO Series™are the best lawn tractors Cub Cadet has ever built. Designed for ambitious gardeners the added power and performance will allow you to finish your work faster and with better results. As an experienced gardener, you are looking for the perfect lawn tractor to meet your high demands and the XT ENDURO Series™ will exceed your expectations. 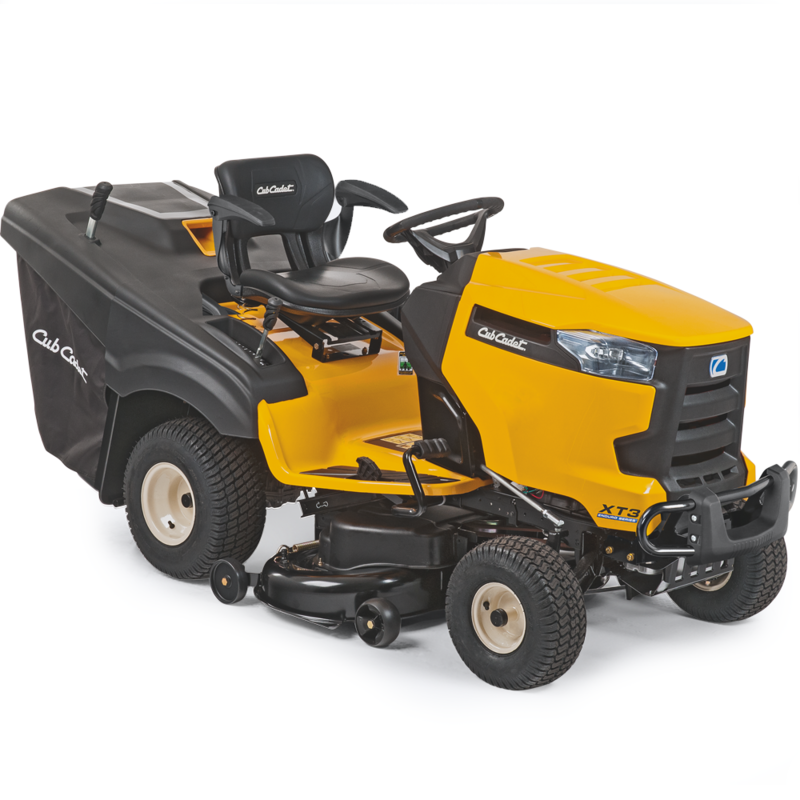 The Cub Cadet XT1 range of lawn tractors are ideally equipped for mowing, collecting and transporting clippings and can be expanded with a wide range of accessories. Strong and durable, the fully robotically-welded frame with new e-coating corrosion defence system provides the ultimate protection and hydrostatic drive systems ensures you a smooth and exacting drive. The tightest turning radius on the market makes the Cub Cadet XT2 lawn tractors the most agile in the XT Enduro™ series.They are ideal for working on tough tight terrain thanks to the innovative Tight Turn xTreme system providing the tightest turning radius on the market at just 17cm.This innovative technology delivers unsurpassed manoeuvrability and control in tight places. 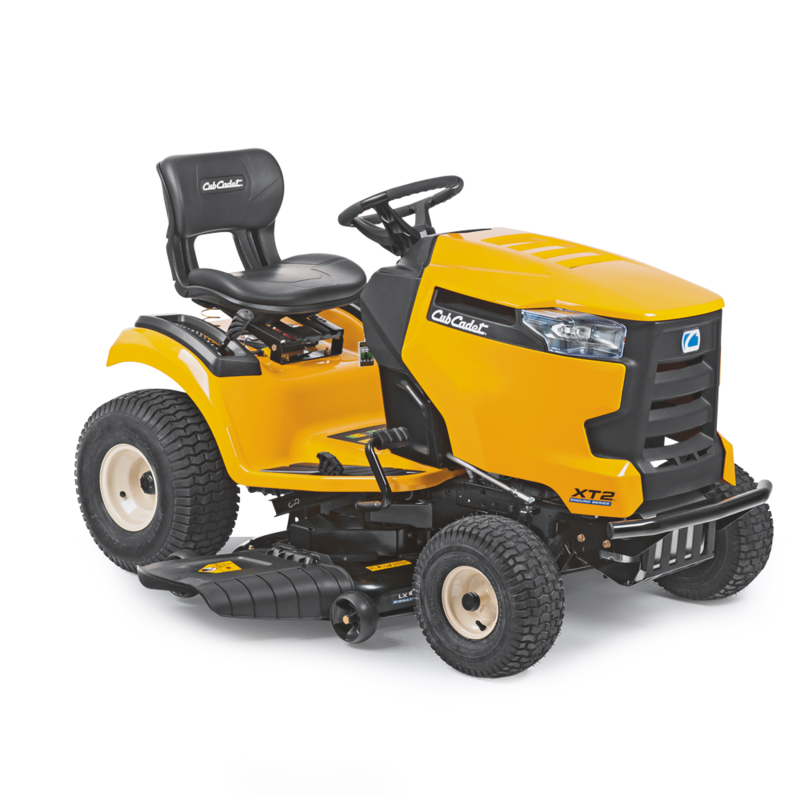 Designed to meet the toughest and most demanding conditions and equipped with ultra strong components, the Cub Cadet XT3 are the ultimate lawn tractors. The models in the XT3 range are brimming with power, capable of mowing tall, dense grass and equipped with All Ground Traction, a mechanical differential lock for traction on all terrains. Large engine displacement for miles of mowing power: 679 cm3. Eco-friendly due to reduced emissions. Simple troubleshooting and diagnostic system for direct fuel injection lets dealers service your lawn tractor quickly. For the best mowing results in the quickest time. Unbeatable efficiency and enhanced manoeuvrability even in confined spaces thanks to innovative TIGHT TURN Technology. Ultra-rigid frame for long lasting protection and strength. Optimal drive power and the strongest engine in its class for smooth and efficient power delivery between the engine and transmission. Designed to reduce tension on the belt, the rigid design and extra strength ensures trouble free mowing. The XT2 PS117i and XT3 QS137 tractors are also equipped with a welded mowing deck, which is even sturdier and more durable. At the touch of a button, the grass catcher lifts up and tips the cuttings out. Effortless, even when the catcher is full. (Universal accessories for all XT models retrofittable from 2018).